In September, Believe Big had the opportunity to travel to Stuttgart, Germany for the Integrated Medicine Meeting! The Integrated Medicine Meeting was a gathering of over 200 various medical professionals hosted at the headquarters of Helixor, a producer of mistletoe. 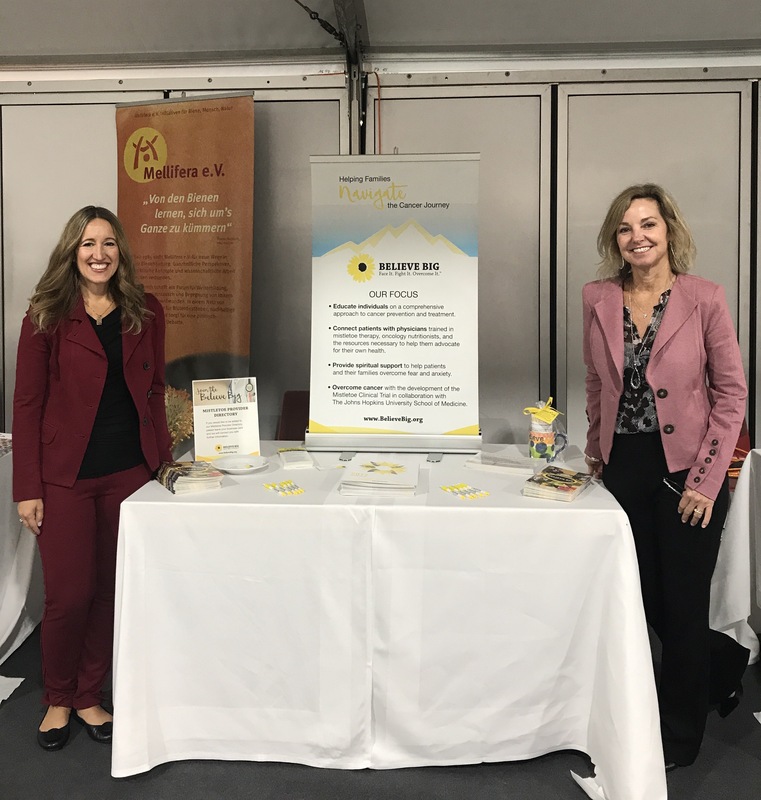 Ivelisse Page and Patty Buddemeyer met with experts in the fields of integrated medicine from all over the world and learned about new research and case studies in oncology. They toured the Helixor mistletoe extract production facility and learned how the plant is harvested and stored and how the extract is obtained from the plant. They also were able to tour the Helixor arboretum and learned about each specific species of mistletoe, the growth and maturation process, and what species treat specific cancers.